09:45 – 10:00	Endothelin converting enzyme-1 genetic inhibition prevents bleomycin-induced pulmonary fibrosis in mice. 10:00 – 10:15	Arterial anti-endothelinergic effects of calcitonin gene-related peptide in vitro and in vivo. 10:45 – 11:00	Involvement of endothelin system in polycystic ovarian syndrome. 11:00 – 11:15	Involvement of endothelin B receptors in the increase of plasma glucose and NEFA with a GH-independent manner in cattle. 11:15 – 11:30	Endothelin-2 induce ovulation by constricting ovarian follicle via EDNRA-mediated pathway. 11:30 – 11:45 Opposing roles of endothelin receptors in regulating ovulation and luteal function. 14:30 – 14:45 Anti-TNF-α therapy ameliorates cardiac function in mice with reduced endogenous endothelin-1 and increased afterload. 14:45 – 15:00	The adipokine chemerin increases vascular reactivity to ET-1 via activation of ERK1/2. 15:00 – 15:15	Modulation of release of Endothelin-1 in hypertrophic human endocardial and vascular endothelial cells. Christopher Adlbrecht*, Martin Andreas, Bassam Redwan, Klaus Distelmaier, Julia Mascherbauer, Gilbert Beran, Alexandra Kaider, Michael Wolzt, Ioana-Alexandra Tilea, Thomas Neunteufl, Georg Dell-Karth, Gerhard Kreiner, Gerals Maurer, Irene M. Lang. 15:30 – 15:45	Endothelial overexpression of endothelin-1 augments endothelium-dependent contractions in the mouse carotid artery. 16:15 – 16:30	Endothelin receptor A antagonism prevents fetal growth restriction in pregnant eNOS-/- mice. 16:30 – 16:45 Increased vasoactive factors and extracellular matrix proteins in the retina and heart in type 2 diabetes are prevented by macitentan, a dual endothelin receptor antagonist. 16:45 – 17:00	Signalling Requirements for ET-1-Induced Hypertrophy. Hemanshu Patel*, Rolf Spirig, Robert Rieben, Janice Tsui, Sidney Shaw. 09:00 – 09:15	Identification of the site of endothelin A receptor antagonist-induced fluid retention. 09:15 – 09:30	Chronic endothelin-1 infusion in rats increases glomerular permeability to albumin and proximal tubular albumin uptake as determined by intravital microscopy. 09:30 – 09:45	The ET-1 / Endothelin A receptor axis for the integrity of the glomerular filtration barrier under diabetes in mice. 09:45 – 10:00	Endothelial Cell derived Endothelin-1 Knockdown Attenuates Kidney Fibrosis via Reducing Peritubular Capillary Loss and Pericyte to Myofibroblast Transition. 11:00 – 11:15	Deciphering the transcriptional complex critical for epigenetic regulation driven by endothelin A receptor/β-arrestin-1 in ovarian cancer. 11:15 – 11:30	Dissecting the complex crosstalk network between endothelin-1 axis and vascular endothelial growth factor system in melanoma cells. 11:30 – 11:45	Endothelin-1 stimulated gene induction within colon cancer cells and fibroblasts and the effect of endothelin receptor antagonism on key genes. 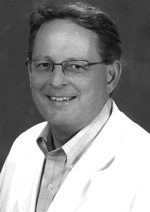 11:45 – 12:00	Molecular mechanisms regulating ECE-1 expression in prostate cancer. 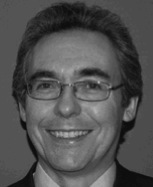 16:00 – 17:45 Special Session VIII: Clinical trials with ERAs: What went wrong and where can we improve? 09:00 – 09:15	ET-1 modulates tubular and reticular structures in the nucleus. 09:15 – 09:30	Endothelin (ET)-1, via ETA receptor, activates ß-arrestin-mediated signaling pathways and promotes podocyte migration in vitro: possible implications for proliferative lesions in chronic kidney disease. 09:30 – 09:45	Knockdown of bone morphogenic protein receptor–II by siRNA increases in vitro endothelin-1 synthesis by human pulmonary microvascular endothelial cells. 10:30 – 10:45	The endothelin receptor antagonist bosentan improves peripheral endothelial function in patients with type 2 diabetes mellitus and microvascular complications. 10:45 – 11:00	A Phase I, open label, ascending dose study of the safety, tolerability, pharmacokinetics and pharmacodynamics of the endothelin B agonist, SPI-1620, in patients with recurrent or progressive carcinoma. 11:00 – 11:15	Ameliorating day- and night-time blood pressure control by combined ECE/NEP inhibitor on top of losartan: a randomized, cross-over, placebo-controlled clinical trial in patients with type 2 diabetes and albuminuria. 11:15 – 11:30	Endothelin/endothelin receptor system is upregulated in preeclampsia with or without fetal growth restriction in contrast to gestational diabetes. 14:00 – 14:15	ETB receptor agonist, IRL-1620 prevents beta amyloid (Aβ) induced cognitive impairment in normal and diabetic rats. 14:15 – 14:30	Increased Endothelin B Receptor Expression Contributes to Retinal Ganglion Cell Death in a Rodent Model of Glaucoma. 14:30 – 15:45 Relevance of endothelin-1(1-31) synthesis in hind paw nociception mediated by activation of mast cells in mice. 14:45 – 15:00	Opposite interactions between endothelin-1 sensitization and post-incisional pain in the rat hindpaw. 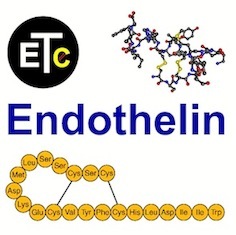 15:30 – 16:20 Endothelin: Quo vadis in 2011?